← Common oven problems: Are they an easy fix? There’s nothing worse than getting home from a long day at work to find your electric oven has broken – there go your dinner plans! Luckily for you, we can save the day with our powers of damaged-electric-oven-diagnosis (…think of us as a more practical superhero). So, from minor oven faults to an oven which has completely cut out, we have the ‘problem + solution’ equations to get your electric oven back up and cooking. Faults with heating elements are a pretty common problem with electric ovens. If you’re finding that the light or fan still come on, but your oven isn’t heating up properly, you probably have a faulty heating element. In the majority of cases, the best way to fix this is to identify the damaged element in your electric oven and replace it. You can find all our oven element replacements here. If your oven is still cooking food but doing its job a little too well – i.e. burning everything to a crisp – the issue is likely down to the thermostat. You probably won’t be surprised to hear that a thermostats job is to manage the temperature of your oven, when it breaks or becomes dirty the temperature becomes unstable. A quick tip for checking this is to take the temperature of the heat inside your electric oven manually – if the reading is higher than the temperature your oven is set to you can be sure the thermostats to blame – browse this page for a replacement. The dreaded electric oven cut out. If it appears that your oven is completely broken, it understandably causes a bit of panic – while it’s hard to diagnose the exact oven fault without knowing the specifics, there are a few common oven issues we can outline for you. One possible problem is that the power from the mains has cut out due to a blown fuse (luckily, this is easily fixed). Alternatively, you may have an issue with the thermal switch or cooling fan. If you’re concerned, we recommend getting in touch with us – we can help whatever your electric oven problem. We all like some warm weather, but if you find that your oven door or knobs are very hot to the touch – or even that other utilities in the kitchen are heating and burning you may have a broken oven door or faulty cooling fan. A damaged oven door allows the heat to escape and consequently can burn furniture around the kitchen. Once you’ve identified whether the fan or oven door is the issue, you should look into cooling fan and oven door replacements. If we didn’t identify your electric oven fault here then fear not, you can give our team a call on 02920 452 510 so we can help diagnose the problem and recommend quality parts to get your electric oven fixed. 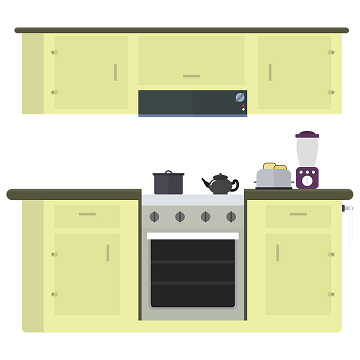 For those of you already in the know, you can browse all our spare electric oven parts to find what you need for excellent value for money! Common oven problems: Are they an easy fix? Has your electric oven stopped working? Find out how to identify and fix the problem here. Why is my cooker hood not working? How Long Do Cookers Last?